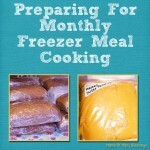 I have been working on a blogging series of all the great tips I have learned over the years. I have already shared how to get massive amounts of traffic to your blog as well as how to make money blogging. I have been waiting to get this post up for a while but with Google continuing to say they are updating Keywords I was trying to wait. Since it doesn’t seem to be happening I figured I would just get the post up for you anyway. Of course as soon as I get this up I’m sure Google will finally switch over to the new one lol. So as promised in my getting traffic to your posts, today I am going to share with you how to use Google Keyword Planner to plan your blog posts. When I first started blogging I had no clue all of the things that were involved in blogging and making your posts able to be found in search engines. As time has gone on I have learned so very much, now I am hoping what I have learned can be helpful to you 😀 ! At the beginning of my blog journey I would just title my blog posts whatever I though they should be called. Seemed simple enough, but what I have realized is that you do not just want to label them whatever. Well at least if you want them to be found by each engines (which you do). If your anything like me, you don’t want all the time you spend working on your posts to go to waste and never be found!! Yes, that means I am continuing to go over my old blog posts and redoing the keywords on them, it is time consuming, I wish that I would have known this long ago!! 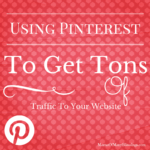 There are a couple things I do to make my posts able to be found by search engines. 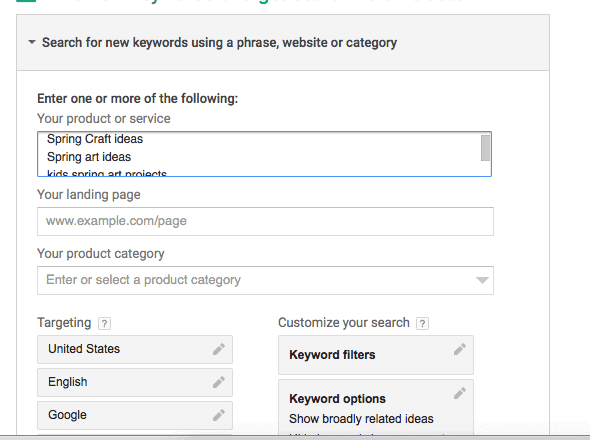 First figure out what it is you want to write about, then I head over to Google Keyword Planner and figure out what my keyword should be, which are most often not what I think they should be. 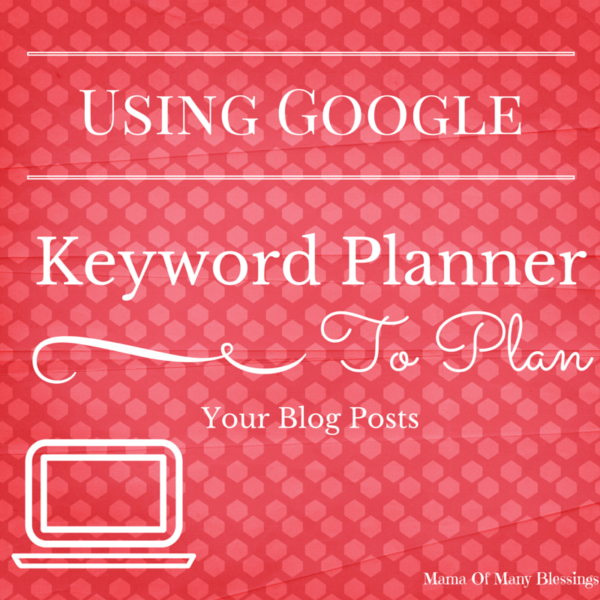 Head over to Google Keyword Planner click in the top right corner on sign in. Once you sign into Google Keywords this is what the page will look like. You will want to click on “search for new keywords using a phrase, website, or category”. 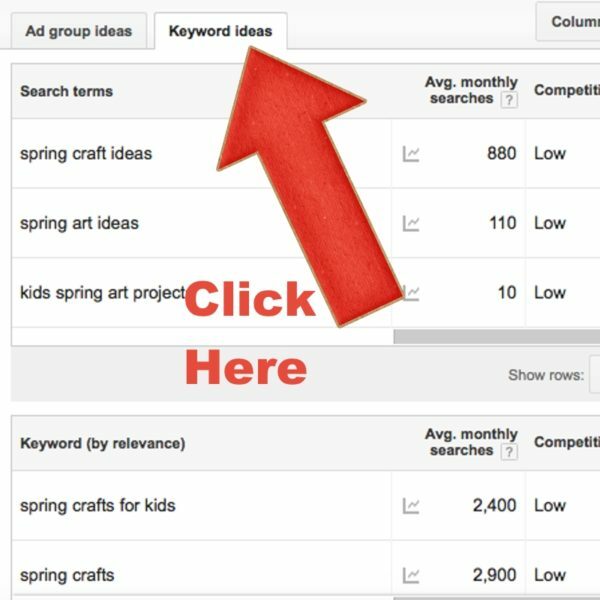 Click on get ideas after you have typed in different keyword ideas. Here is what it looks like once you click on get ideas. By default it will pull up “ad group ideas”, but this is not what you want to use to come up with your keyword ideas. 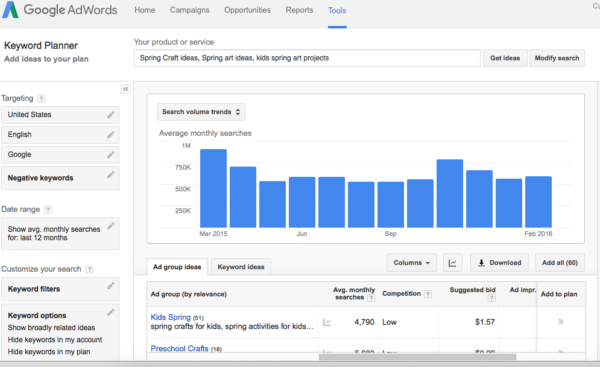 The graph which is above the picture show above, shows you how often the keywords are searched for on a monthly basis. If you hold your cursor over each of the bars it will tell you the exact amount of traffic it generates each month. 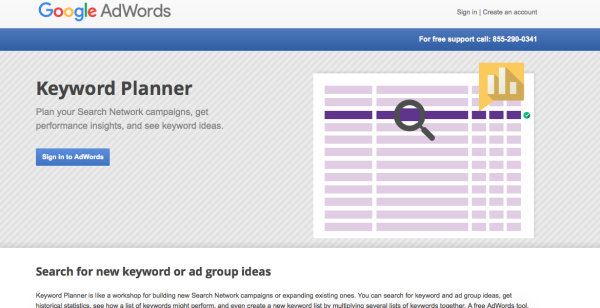 Since you do not want to use the ad group ideas, you will need to click on keyword ideas as shown in the picture below. 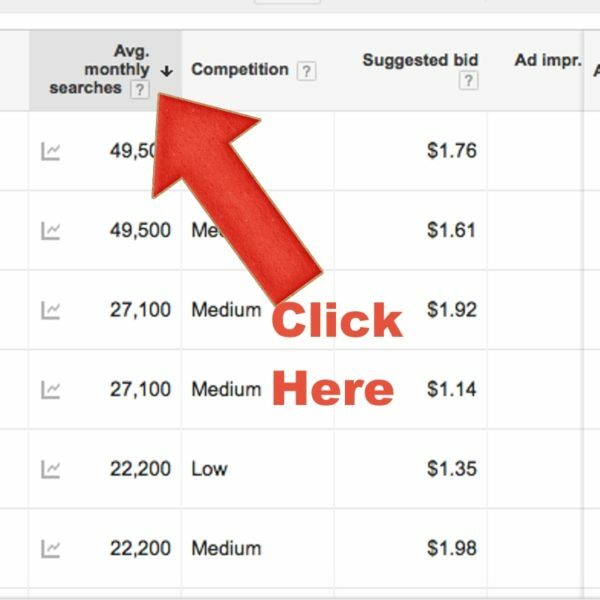 After you have the keyword ideas pulled up you will want to click on average monthly searches for it to sort by the highest amount of monthly searches at the top. 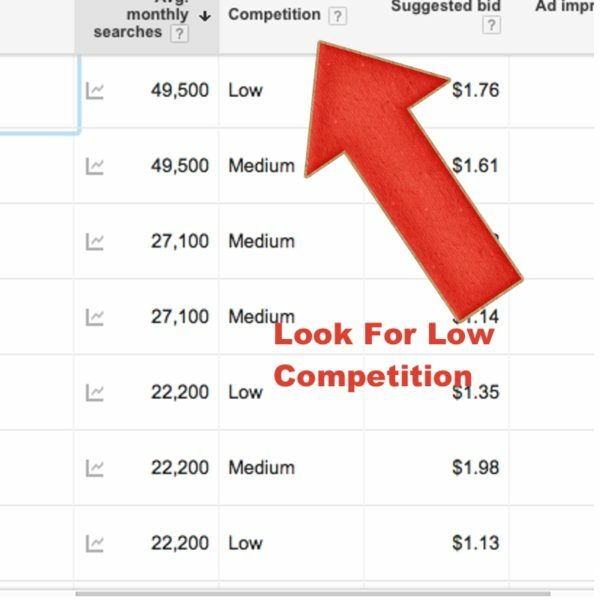 After that you will not just want to pick the highest average monthly searches, you will want to ideally look for a keyword that has a low competition, worst case scenario look for medium level. 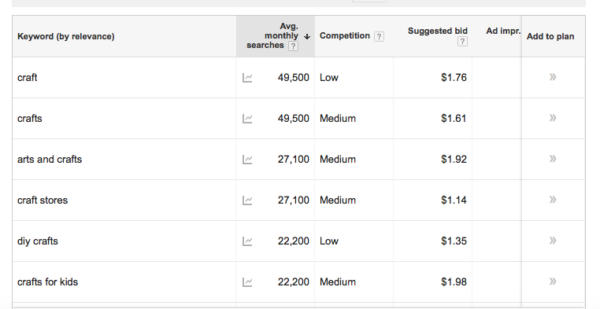 What the different levels mean is how much competition you will have in using this keyword. If you choose high or even medium that means there are a lot of other bloggers that have used this keyword in their posts in the past, and chances are it will not be helpful to you to choose that word. Since you will have a lot of competition and be so far out on search pages you will likely never even get clicked on for it. After you have everything sorted and look at competition you should be able to figure out what will be the best keyword to use. Below is an example of my search. As you can see my “spring craft ideas” was not a broad enough search term. I would be best just using the keyword “craft”. Now I can still use spring craft ideas in my title, but just use “craft” as my keyword. To help me rank higher in Google search, I would want to make many different posts with the term craft or crafts. 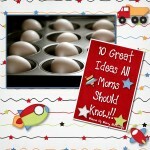 Like spring crafts, summer craft ideas, Mother’s day crafts for kids, etc. Google figures if you have many different types of posts using this keyword you know what your are taking about and you will get closer to the 1st page on the search engine. After I figure out my keyword for the post, I plug it into the “keyword” section in my SEO Yoast plug in below my post. 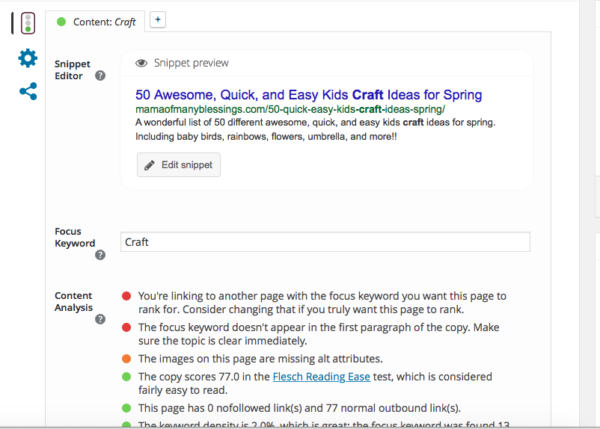 I love using this plug in since it not only generates my sitemap automatically for search engines, but it also lets me know exactly what I need to do to make my post as SEO friendly as possible!! In my opinion it is is MUST HAVE WordPress plug in!! Now that you have your keyword figured out, deciding your post title isn’t quite as simple as you might think either, of course right 😀 . I use co-schedule to decide what my post titles should be. Because using boring titles are less likely to get clicked then exciting ones. For example what post would you be more likely to click on. I know the #2 post I would be much more likely to click on!! 50 Awesome, Quick, and Easy Spring Craft Ideas. So in order to come up with great post ideas I use the Headliner Analyzer over at co-schedule. 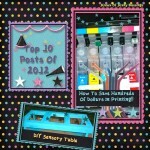 This is a great tool, and you will quickly realize the post titles are not as easy to make as you would imagine. If you sign up for their email’s they will send you a free PDF with examples of emotional words to use in you post titles that will help you come up with better titles. I highly suggest doing this the PDF they send you is an amazing resource!! Here is another list of ideas I use that are helpful to find feeling words. They also give you some tips and advise on your title after you type it in and they grade it. I use this for every post I write except a few different review posts or life posts I’m not looking to rank in. What topics would you be interested in learning more about in blogging? Leave me a comment letting me know, I post according to what bloggers are wanting to know more about! I have a blogging and social media idea board over on Pinterest that has great ideas on blogging and social media, stop over for other great tips and ideas! 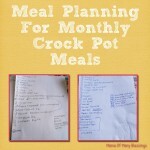 I am linking up with these great parties, stop over to find other great ideas!! Thank you! I wish I had come across this information a long time aqo. I’m so excited to try out Google Keywords and Co-schedule! Thank you again! There have been multiple bloggers who were curious on how to use Google Keywords since it can be difficult to know how to use. That is exactly why I wrote this post. Co-Schedule has drastically helped me improve my headline titles. I’m so glad you found it helpful too. Thanks for stopping by. Thanks for the tutorial. I’ve just started using the keyword planner, and I’m finding it moderately helpful, but these tips help me know exactly what to do. You are so welcome, I’m glad it was helpful to you. It is so hard to know how to use some of the tools that are out there to help bloggers!! 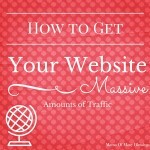 I hope it helps to improve your blog traffic!! Thanks so much for stopping by!! This is an incredibly informative post. Thank you for sharing your wisdom regarding how to use this service. I’ve had it for (I don’t know) how long and never known how to use it. I’m going to start using it (as well as the headline analyzer) for each post TODAY. Tweeting, pinning and stumbling this post. Thank you so much for your kind words!! I was glad to share my wisdom with fellow bloggers, I think thats how we grow and learn more! I hope you see an increase in traffic from using it, the headline analyzer is fun to use too. Thanks so much for sharing and for stopping by!! This is great! I love inside tips like this that I haven’t tried before. I will pin this post! Thanks! I have found on my blogging topics getting advise from bloggers on what they want to learn about seems to be the best way to make the posts. So glad you found it helpful. Thanks for sharing and for stopping by!! I am so glad to hear my post helped make Google Keywords not so difficult to understand. I know with all the different topics in learning to blog knowing how to use it all can be difficult. Thats why I’m looking for input from fellow bloggers on different topics they want to learn about. Thank you so much for stopping by. You are so welcome, I am glad to hear you found it helpful! There are so many things to learn about blogging it is hard to know what is important and what isn’t. I am still working on fixing old posts because I didn’t know how to make the SEO friendly. It’s a never ending cycle lol. I’m so glad the photos were helpful, I know so many people learn best from having pictures to help them. Thank you so much for stopping by! This is a great post.. thank you! I will definitely be putting some of these tips into effect.. I never really understood how to use all that info from Google.. i appreciate the tutorial! Thank you so much!! I’m glad that there were some new tips on here that you can put to use. It took me a while to understand Google Keyword planner too, once I did I realized how wrong I was using it lol. Glad you stopped by Inspire Me Monday and linked up, thanks for stopping by!! 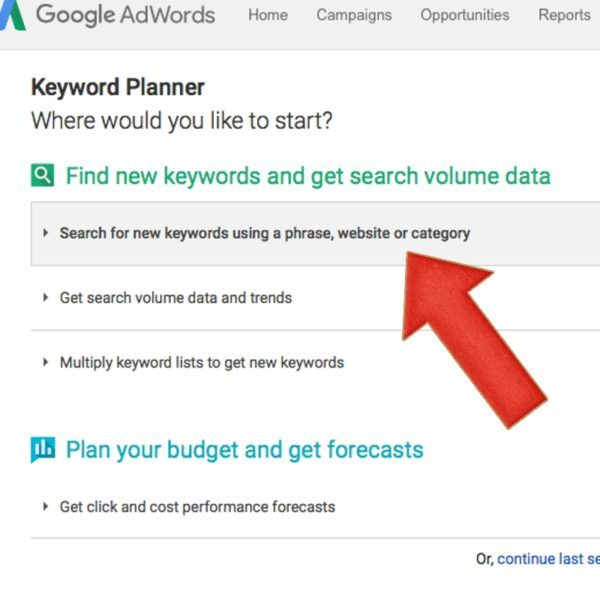 This is a wonderful tutorial on how to use Google Keyword Planner to help make it SEO friendly as well as be in the search engines for better pageviews. It amazes how much we can learn from each other as bloggers. 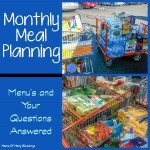 I love sharing blogging tips too, but I haven’t shared any in a long time. It really is amazing how much we can learn from fellow bloggers, isn’t it! 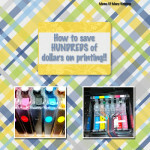 I have learned so much over the years so I figured it was time to share those tips with other bloggers. I struggle on what topics to share, so I find it is best to ask newbie bloggers what they want to learn. Thanks so much for stopping by and commenting. 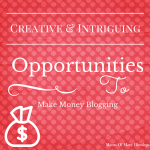 This post is so very informative for anyone who is interested in blogging. As someone just starting out, I have printed this and I’m going to start working on it now! Thank you so much for sharing. Thank you so much. There are so many bloggers who ask me questions about different blogging topics, I figured making them into a post for everyone who had these same questions. Glad the post was helpful for you!! 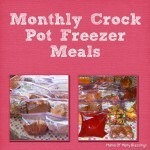 They have been very helpful for so many people too. Thanks so much for stopping by! I’ve been blogging a while (4 years) and I never knew this! Thanks for the great tips and the tutorial. I’m changing my tactics going forward.